We are bringing the Red Bull Car Park Drift back to Oman again this year. And this year we are hosting the regional final in Muscat! Join us for the qualifiers this weekend! Red Bull Car Park Drift is a much anticipated annual series. Local Qualifiers have kicked off across the region already in Qatar, Kuwait, Egypt, Mauritius, Tunisia, Lebanon, Morocco and Lebanon. In the coming weeks, local Qualifier will continue in Oman, Bahrain and UAE. 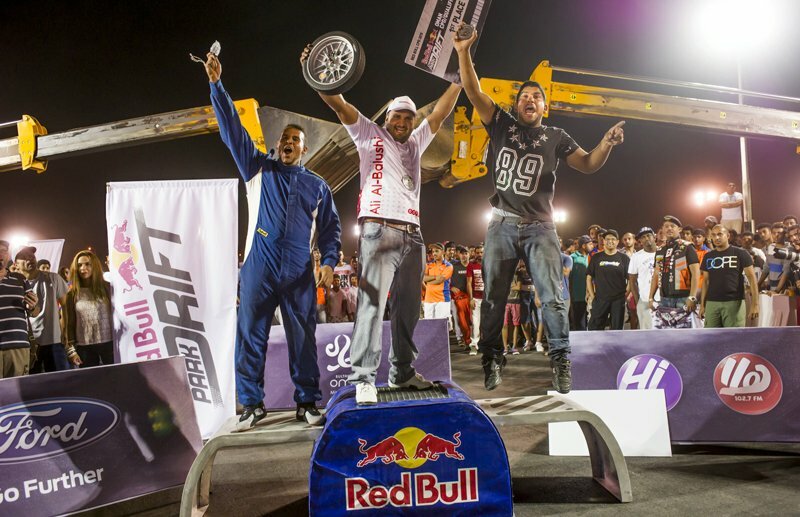 Winners will go on to compete at the highly anticipated Red Bull Car Park Drift Final in Muscat on December 9. For the Oman Qualifier, two preliminary rounds have already taken place, identifying the top 16 drifters from across the nation to battle it out in the third Qualifier. The winner will be crowned Oman’s ‘King of Drift and, along with the second and third place holders, will receive the opportunity to compete in the Final.